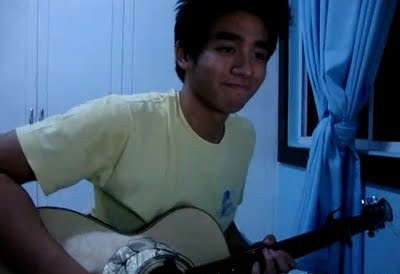 Home Jose Cubil Jose Emmanuel Cubil Katy Perry PGT PIlipinas Got Talent singer singer heartthrob singing Teenage Dream Teenage Dream Cover teenager YouTube YouTube Sensation YouTube Video Jose Cubil's 'Teenage Dream' Cover Song! "Pilipinas Got Talent" Season 2 contestant Jose Cubil is the sixth grand finalists in the said reality talent search show. Actually I didn't yet watched how he performed in the said talent search and how he wows the three judges. But actually I found out many of his YouTube videos showing him singing some of the hit songs. Yeah, Jose already made his cover version of different hit songs. And one of this songs is the "Teenage Dream". Yeah, that is the male version of "Teenage Dream"! "Naunahan ako ni Jose Cubil na gumawa ng male version ng Teenage Dream"! Yup, I will make my own version of Katy Perry's "Teenage Dream" as inspired by one of our officemates.